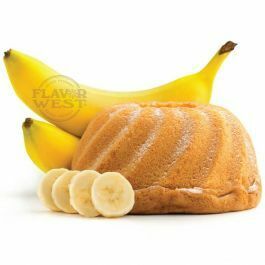 Warm bread, not too nutty, with perfectly ripened bananas and a touch of creamy vanilla. This is sure to get your taste buds dancing. Type: Bananas Nut Bread Water Soluble Flavoring. Ingredients: Natural and Artificial Flavoring, Propylene Glycol. USP Kosher Grade Flavoring. Usage Rate: 15-20% for E-use. Flavor suitability: Drinks and beverages, desserts, pastries and baked treats, yogurt, ice cream, candy and more. Specific Gravity: 1.06 No Refunds on Flavoring. Let me say that I still absolutely LOVE this flavor. BUT...it's a coil killer. I've never used a flavor that gums up and renders coils useless as much as this one does. It tastes fantastic for a while and next thing you know you have to remove the wicks, dry burn the coils and re-wick them since they will stop working the way you expect them to - even with a fresh battery. I don't know what it is about this flavor that causes the coils to become coated with sludge but they do. I keep a dedicated dripper for this flavor since I love it that much. Based on my experience with this flavor, you'll need to dry burn and re-wick every day. It's a PIA but it really does taste that good...IMHO. I didn't think it would be possible to taste all three in one flavor...the bananas...nuts and the bread. I was wrong. This is a fantastic flavor. It tastes as good as it smells. This is what I would call a "comfort" flavor. Anyone who had banana nut bread as a child will love this flavor. Personally, I think the nut flavor is a bit stronger than I would like but I still love this flavor. It reminds me of the banana nut bread my great aunt used to make for me while I was in college.